Grandfriends Day at Emily’s Place was a huge success! 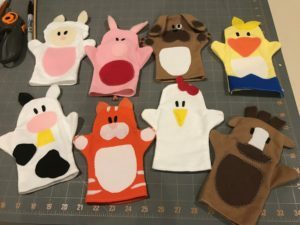 Brenda McGee, in a Dr. Seuss costume, read a book to the 12 children; each child received a “farm animal” hand puppet crafted by the Crafts for a Cause group. The kids had a lot of fun with the puppets while singing “Old McDonald Had a Farm.” Cupcakes were made by Jo Lister and sprinkles for decorating them were donated by Suellyn Chesal. Each child received a gift with their name on it which they loved! 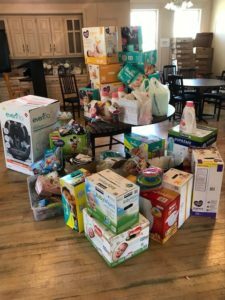 Items were donated by our members for Emily’s Place Infant Closet.